Way of the Cross at the Coliseum, Stations of the Cross led by the Holy Father, Pope Francis, on Good Friday: The Passion of the Lord Meditations by Lebanese young people under the guidance of His Eminent Beatitude Cardinal Béchara Boutros Raï. 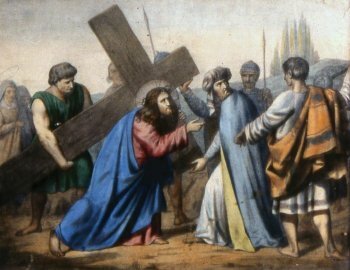 you have involved man in the carrying of your Cross. You have invited us to share your sufferings. that we encounter on the paths of life. but we accept it because you are with us. but it cannot rob us of our freedom. because you have triumphed over death for us. whom you place on our journey. Thank you always for your wonderful posts! Amen, is all I can add!